Cookie's Kids Online Department Store Review! School Uniforms, Kid's Clothing, Baby Gear & More! $100 Shopping Code #Giveaway! A few weeks ago, I introduced you to Cookie's Kids Online Department Store. You can read more about it here. Today, I wanted to share with you a follow-up post with pictures are all of the awesome items I purchased from their online store. As I mentioned in my first post, Cookie's is an online department store that specializes in School Uniforms, Kids clothing, toys, baby gear and much more! It's like being able to shop at a department store for everything you need at a fraction of the cost and time. Let's take a look at all the fun stuff I received for under $100 including shipping! Clothing for all of the kids. The three blue outfits are for our upcoming family photos. The top left is a Calvin Klein summer dress for Savy Baby. For Savy Toddler, I chose a Nautica blue & white striped dress. Savy Preschooler's dress shirt features long sleeves that also roll up and snap and underneath is one of the Hanes white undershirts from the pack of 5 I purchased. 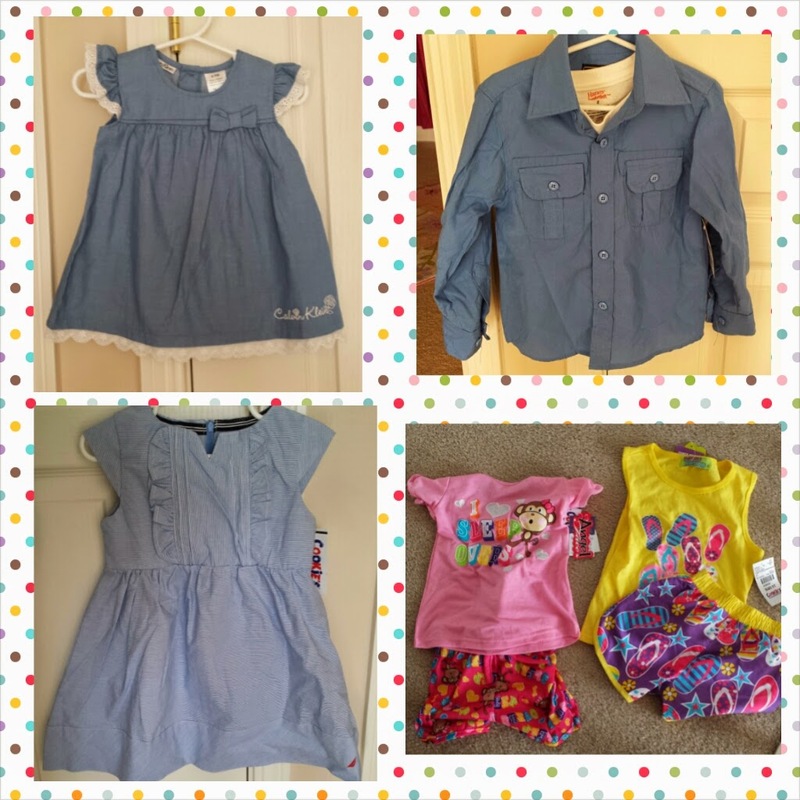 The bottom right photo shows a summer pajama set and summer play outfit for Savy Toddler. I thought based on the prices that these pieces might be cheaply made but they aren't. And they are really cute! I love the quality and selection of clothing on their site! All of the clothing is really budget-friendly. 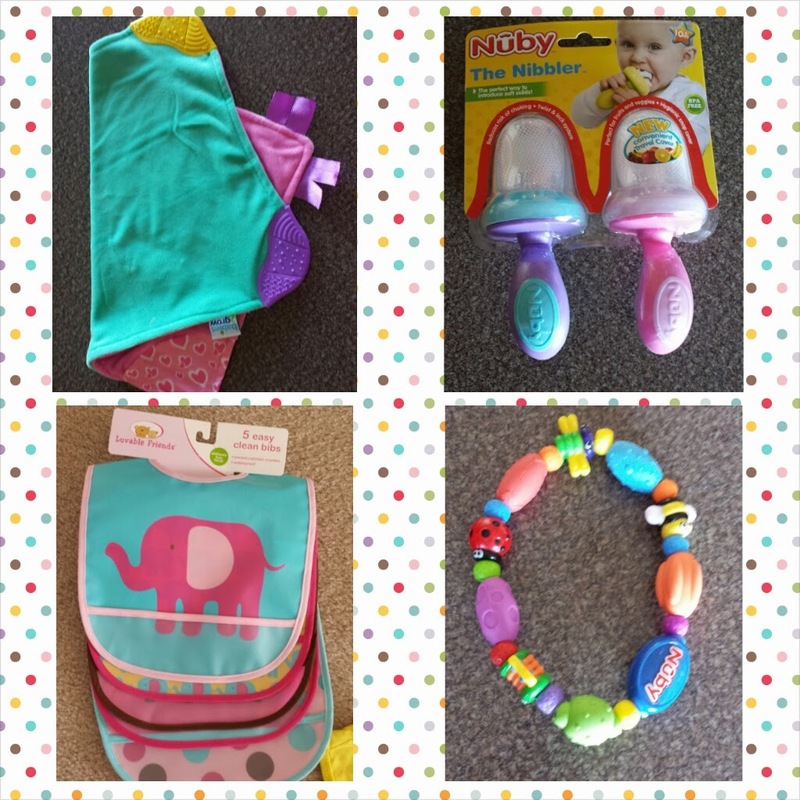 Toys & feeding supplies for Savy Baby. Savy Baby just turned 6 months old which means she is starting solids. I decided she needed a few new supplies, so I bought her some new waterproof bibs and food nibblers. Also, she loves toys, especially ones she can hold and put into her mouth. I got her a new teething ring and a fun lovey blanket that makes crinkly noise and features tags and chewable corners. Toys for Easter baskets. We decided to do a pretty minimal Easter basket this year for the kids, so the Savy Toddler and Savy Preschooler each got one toy and then some candy. I purchased a Cinderella doll for Savy Toddler, as she is just entering the fun princess loving stage and cool walkie talkies for Savy Preschooler, because what kid doesn't love walkie talkies! 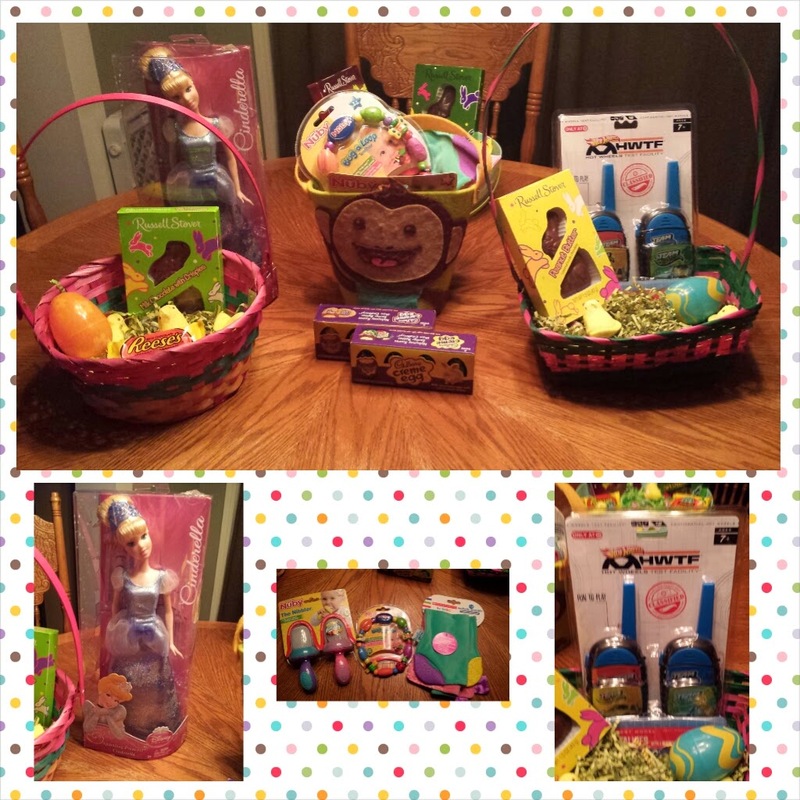 Also, below you can see that I put some of Savy Baby's stuff I described above in her Easter basket. All 3 kids have loved playing with their toys daily and they have helped up great to all of the "abuse", I mean play! Overall, I feel that this website is perfect for anyone, especially parents who are on a time or monetary budget. There is a vast selection of items and something for everyone! I found the site to be extremely easy to navigate and filtering to what I was looking for was really easy. I loved that when I was searching for blue clothing for our pictures, I could even filter on various shades of blue! That was so awesome! I highly recommend you check out their site today! Visit the Cookie's Kids website to browse and shop! They have a great program where when you refer a friend you get $10 and give them $10 to shop with! Ready to win? Enter below to win a $100 shopping gift code for their website! Open to U.S. Residents only. Giveaway ends on 5/23/14 at 11:59pm CST. I would get some summer clothes for my kids, the boy needs shorts & my daughter would love some dresses! I would get summer dress and sandals for my daughter! Great prices!